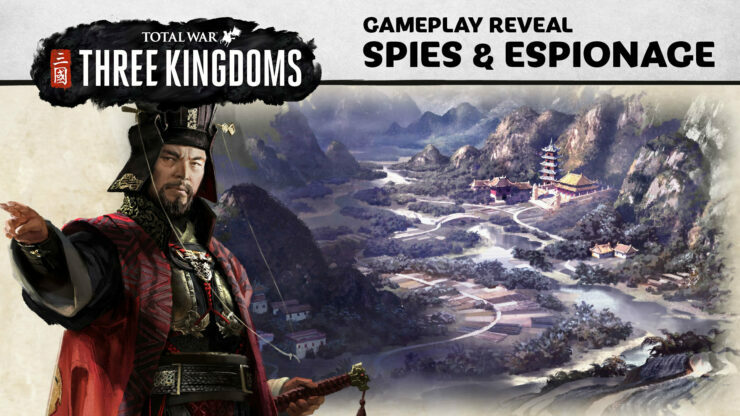 Total War: THREE KINGDOMS is arguably the most anticipated strategy game due in 2019. It is no coincidence it was the first game mentioned in the list published this week by Chris. For the first time in the franchise, Creative Assembly is bringing Total War to the fabled Three Kingdoms of China where players will have to pick one out of eleven legendary Warlords and conquer the whole realm under one banner. As usual in Total War games, there will be multiple paths to victory. Military might, diplomacy, economic dominance but also the widespread use of spies. Today, the developers wanted to highlight the brand new espionage system with the lengthy gameplay reveal embedded below. In THREE KINGDOMS, your most guileful characters can sneak behind enemy lines to poison, assassinate, and even incite war. They’ll have to keep a low profile at first, sharing smaller secrets like the movement of enemy troops. But, once they rise through the ranks, they can bring your foes to their knees! Be warned: treachery isn’t without its perils. If a spy is caught in the action, they risk brutal execution. Of course, they can always betray you to save themselves, returning to you as an extra devious double agent. Is your star general fighting for your glory, or is another another hand pulling the strings? Total War: THREE KINGDOMS is out March 7th. The Yellow Turban Rebellion DLC will be included for free with pre-orders and purchases of the main game made within a week of the launch date. New weapons and armour suitable for the new heroes.